GREAT EXPOSURE FOR YOUR BUSINESS OR ORGANIZATION! Limited to 20 advertisers—business shall be in the Historic District unless space is available. 1,000 maps per order, lasting approx. 6 mos. Insert rack-card, coupon or other flyer $25/yr. 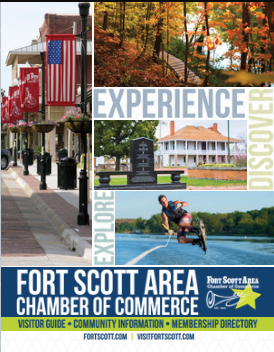 Forks & Corks ~ "A Taste of Fort Scott"